Inlanta Mortgage is pleased to announce Lori Jasicki has joined as the branch manager of its Brookfield branch office. Inlanta is also excited to announce several additional new hires in its expanding branch network. 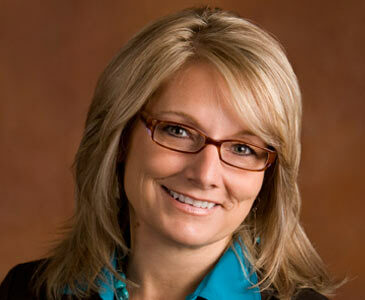 Inlanta’s Brookfield, Wis. branch welcomes new Branch Manager Lori Jasicki. Jasicki brings more than ten years of mortgage lending management experience to her new position at Inlanta Mortgage. Prior to her position at Inlanta, Jasicki held management positions at Wells Fargo, US Bank, and Alltegrity Mortgage Group, LLC. Jasicki joined Inlanta Mortgage because it encourages and supports an entrepreneurial approach and is focused on quality service in its relationships. “I am very excited to be joining Inlanta’s team of professionals. Inlanta Mortgage provides the perfect balance of being large enough to get the job done and yet small enough to provide the agility needed in today’s market to ensure our customers the highest level of service.” Jasicki said. Inlanta also recently added Senior Manager Paul Buege. Buege will be responsible for development of joint venture mortgage partnership opportunities with leading real estate, builder and relocation management companies across the United States. In addition, he will manage groups responsible for business alliances, marketing services and branch development. Inlanta continues to expand branch operations. Inlanta’s Oconomowoc, Wis. branch added two new Senior Mortgage Loan Officers, Resa Werra and Mollie Burke. The Madison, Wis. office hired a new Processor, Karen Higgins and the Marshfield, Wis. Branch welcomed Brittany Radue. Inlanta’s Manchester, N.H. office welcomed Client Relations Coordinator Amy Fortier and the Appleton, Wis. office announces the addition of Loan Officer Lee Stevenson and Client Relations Coordinator Jean Lindisch-Rihm. The Lakewood Ranch office in Florida is pleased to introduce Shari Burgo as a Business Development Assistant. Inlanta continues to expand its branch network and is pursuing new loan originator channels as many companies exit the lending business or can’t deliver quality service. Inlanta Mortgage encourages ethical lending professionals to learn more about our support platform and discover how an Inlanta branch partnership with Inlanta Mortgage is essential to long term success. Headquartered in Brookfield, Wis., Inlanta Mortgage was established in 1993. The company has grown to 30 branches in 16 states and over 220 employees. Inlanta Mortgage offers Fannie Mae/Freddie Mac agency products, as well as jumbo program and portfolio programs. The company is an agency approved lender for Fannie Mae, FHA/VA, FHA 203K and USDA. Inlanta Mortgage also offers numerous state bond agency programs. Inlanta Mortgage was named a Top Mortgage Lender in 2012 by Scotsman Guide and has been listed on Mortgage Technology’s Top 25 Tech Savvy Lenders List for the last four years. Inlanta has also been named to the Milwaukee Business Journal’s “Top 25 Largest Milwaukee-Area Mortgage Banking Companies” and Mortgage Executive Magazine’s “Top 100 Mortgage Companies in America” in 2011 and 2012. In addition, Inlanta was named a “Fastest Growing Firm” by Milwaukee Business Journal in 2013 and a “Platinum Million Dollar Lender” by USDA Rural Development. Inlanta’s mission is to be the home financing partner that you trust to serve your family, friends and community. Through our family of dedicated mortgage professionals our commitment is to deliver an exceptional experience. Our unwavering dedication to integrity, honesty and ethics is the foundation of all of our relationships.